Environmental Tillage Systems (ETS) proves you don’t have to be the biggest to be the best with the ETS 3100 Series SoilWarrior®. 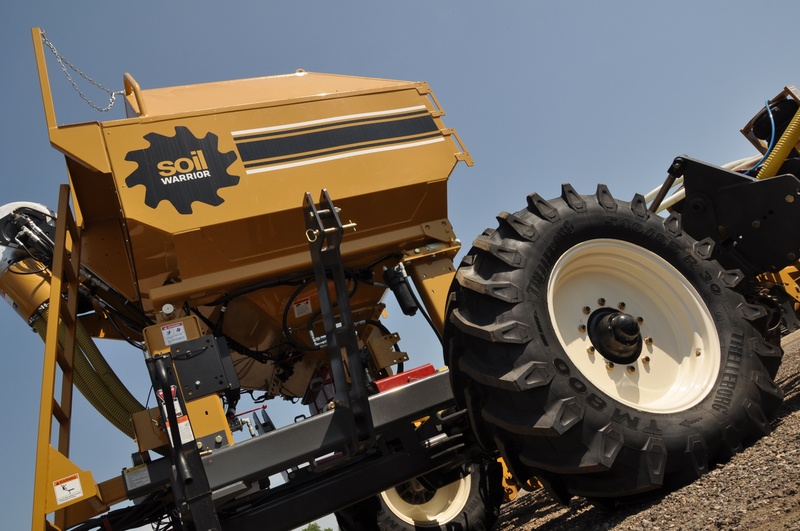 This complete, construction-grade zone till system is built with the quality and precision of a full-sized SoilWarrior, but packaged to fit the size and price point of today’s most innovative farmers. Just like its predecessors–which can measure up to 60 feet wide and apply as many as five products in one pass–the compact 3100 is built tough and ready to take on the challenges of any farm or any agricultural land site. Its flexibility, durability, and precise fertilizer placement are what set this machine apart from any other within the marketplace. The 3100 can be configured with innovative SoilWarrior® X (single or dual coulters) or SoilWarrior N (single coulter with detachable shank/knife) row units. A single dry fertilizer tank carries up to 160 bushels of product and is mounted to a robust cart frame. The stainless steel meter body and variable rate technology ensure precise placement of nutrients in the tilled zone. The base model (3120) comes with 8 row units on a rigid 20-foot toolbar. It can be expanded to 12 with a 30-foot folding toolbar. Rows can be spaced 20, 22, or 30 inches depending on the machine configuration. 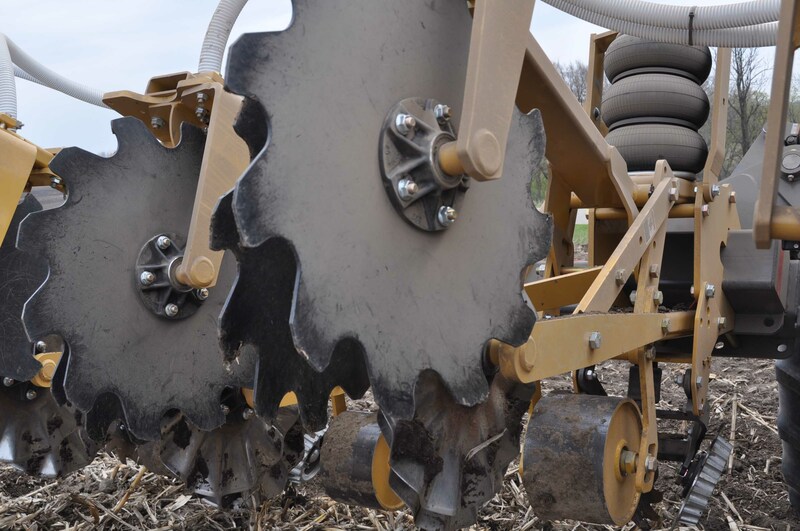 Other notable features on this machine include 540 single track Trelleborg tires that reduce compaction and steerable cart to ensure you stay on the zone. Learn more about Trelleborg at www.trelleborg.com/en/wheels/. For more than 10 years, ETS has been manufacturing SoilWarrior systems for forward-thinking farmers and ag retailers across the globe. The introduction of the 3100 SoilWarrior is meant to help more growers adopt the practice of zone tillage. “We’ve proven we can go big with our systems. Now it’s time for us to go big in terms of helping expand conservation tillage practices among growers. The SoilWarrior was developed by a farmer who wanted to profitably improve the health of his soil. There is no better tool for fertilizer placement, residue management, and agronomic benefits and we want more farmers to experience it,” explains ETS CEO, Kevin Born. 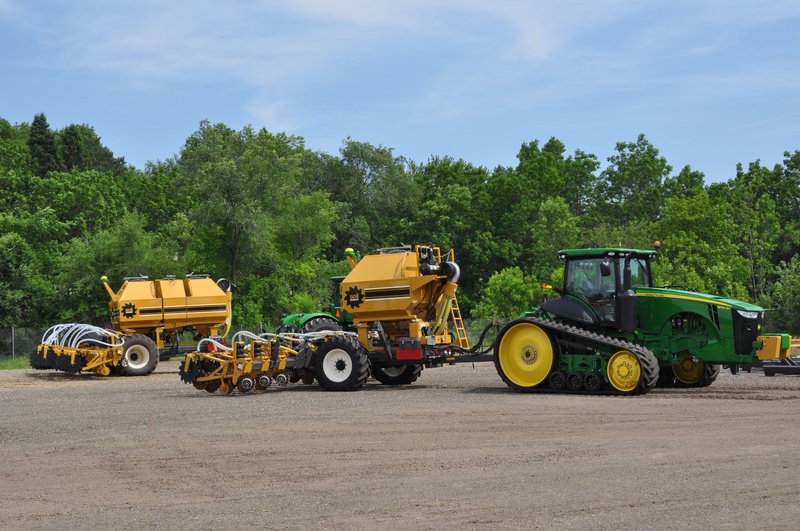 Ready to try out the SoilWarrior on your farm or agricultural processes? We are waiting to hear from you.